It is most certainly the most romantic month of the year. 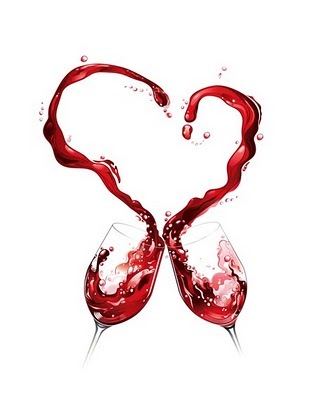 You might have planned the perfect date, but do you have the perfect wine? So let’s have a look at what you might do doing the day. Starting off with breakfast in bed will set the tone for the rest of the day. Even if you aren’t the best cook in the world, you’ll still gain many a points from the other half. Maybe you then plan a picnic in a lush scenic part of town. Definitely – more points. Some might then aimlessly wonder about in town. Browsing through all the little markets and almost always buy things you don’t need. That’s all part of the fun really. The next step is the night time dinner. The setting is exquisite, the food is divine and the company is electric. What’s left now is the wine of course. You can’t pick up any bottle of wine at the nearest grocery store. With such a perfect day, you have to have the perfect vintage wine and scoring the most points of all. With the aromas dangling in the air from a bottle that’s been waiting for you for years, you simply can’t go wrong. As a suggestion, try the (Nederburg Manor House Shiraz 2006). This wine has aromas of black fruit and spicy notes of cinnamon and clove. With a firm structure and a dense ripe black fruit and wood spice palate, this wine will be the perfect wine for your Valentine.